Now in existence for over 76 years, Zeekoegat Primary School continues to strive to expand its programs and offerings to the community. Our small school has already helped shape and form hundreds of children into young successful adults. 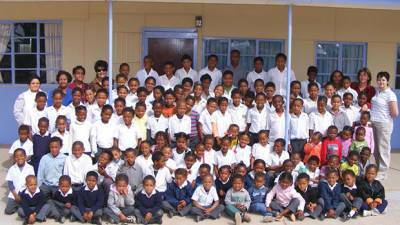 Currently with 71 children from grade 1 – 6 & 20 toddlers, we are just too short on finances to offer the necessary resources to accommodate all the underprivileged children. 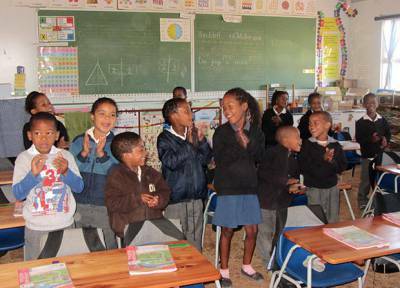 Unfortunately the department of Education provides too little for the school to continue and we lean on the help from our Project Room at Safari & de Zeekoe Guest Farm’s national and international tourists. We hope that you will be able to take part in any kind of donation in supporting this project. It is our mission to raise enough money to continue this charity and provide services in our community; we rely on the generosity of individuals and businesses for support. Without the assistance of community-minded individuals just like you, we wouldn’t be able to serve those in our community each year. Remember that every donation makes a difference, regardless of size. Please note this is a NON PROFIT organization (NPO 093-185). Zeekoegat primary school is situated on the private property of Seekoegat Farm.